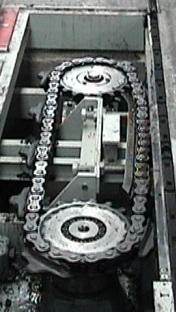 The sliding chain or rolling chain conveyor drives trolleys at a continuous speed with options for switchoff stations or step by step operation. 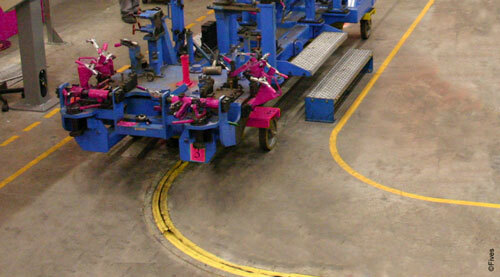 Trolleys can be disengaged or engaged by controlled tractive force at any point in the system. 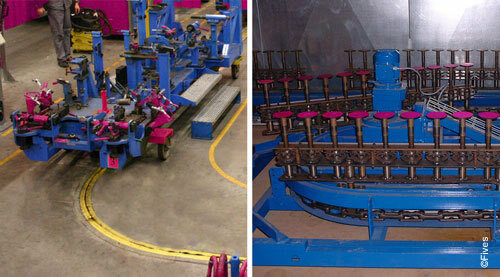 The CFC Drag chain is recognized in plenty of production or logistics units all around the world. 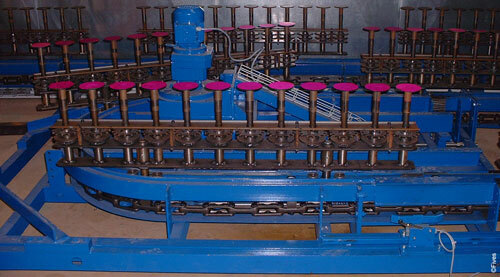 Its robustness and performances ensure a high working level and an easy maintenance. for the handling of parts needing an easy access. This technology does not alter the carried parts (grease runs, calamine, paint...) and with its floorstanding, it does not require any special framework. 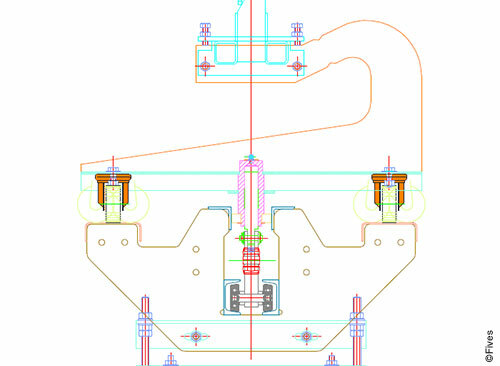 For every setup, a specific typical section will be done in order to take into account the stability of the carried products. 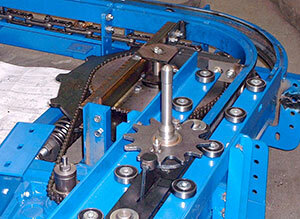 With its standard conveyors range, Fives could provide other floor handling solutions to meet your specific requirements.